We all know that writing is a solitary activity. Authors hide away and pound the keyboard as inspiration flows into written words or we read voraciously for research and pleasure. We must do it. Our heart tells us so. If the desire is there than we were born to write, whether we become published or not. The downside of writing is that the only part of us that gets physical exercise is our fingers. Let's be honest, all you need to do is go to one writer's conference to meet dozens of intelligent, creative writers who are overweight. I'm not judging; I'm identifying. I'm one of them. The longer I write, the wider my hips spread. We romantic authors might call them love handles but they do nothing to further our plots. The more I dwelled on my dilemma or I should say the more my clothes shrunk in the closet, I realized it was a problem that wasn't going to go away. This was my Black Moment. If I didn't plot how to reduce the overflow, I might gain more pounds than fans in my future and have to start wearing the clothes that have too many X's next to the size. My goal is to lose 15 pounds, 20 if I can really persevere. Previously in my yo-yo dieting career, I'd set out to suceed and failed over and over and over again. No matter what diet I chose, I'd be lucky to last a few days without giving into a craving. I'd cry, "No willpower," "Failed again," "How can SHE eat that and still be skinny? Not fair!" "Why did mom feed me sweets to make me feel better?" "Poor me." Get the picture? Both self pity and self hatred combined have affected my confidence, sociability, energy, and zest for life. Easier to hide behind a keyboard and write about our lovely, slim, curvaceous heroines? Has anyone but Wally Lamb really chosen a fat leading lady? One that attracts our handsome, hard-bodied heroes? For those who write erotica, can you imagine the bedroom scene as you describe roving hands smoothing over folds of fat? What does this tell us about our own beliefs and what our popular culture expects? Well, at my age, I'll never look like my historical romance heroines but I'll be happy if I can pick anything I want out of my closet and it fits. I don't mean new clothes I am forced to buy to cover a multitude of sins, but the ones that are two sizes down and once skimmed my body instead of causing it to choke for oxygen. All the reasons above are why I decided to get serious about plotting the pounds instead of the keyboard. I haven't gone near my newest manuscript for a week. Instead, I have read a book, Dr. Hyman's 10 Day Detox Diet. Strange how it got into my hands. I was on my way to the Romantic Times Convention in New Orleans. As I waited in the airport for my flight, I browsed the book store. Dr. Hyman's book seemed to be lit up in neon colors. It wasn't, but the words appeared that way to me. It was more than I wanted to pay so, instead, I bought the ebook on my Kindle as I waited for my plane to take off. I was totally absorbed after reading the first two pages. It was a woman's story that I could have written. When he wrote about why we can't control cravings, I was totally sucked in. At the convention, who couldn't miss so many authors just like me, weighted down by not only books? And, oh, the wine and chocolate that flowed, never mind Avon's yummy cupcakes. I ate very well but I continued to read the book and came home determined to follow the advice to a "T". The next week was spent preparing for the detox. I ordered the supplements from the website. They can be bought at a health food store, but I wasn't going to shop around or procrastinate. They weren't cheap but food isn't cheap, especially all I've eaten to put on this extra flab. While I waited for the package to arrive, I shopped for all the essentials. I checked out all the recipes included in the book, wrote my grocery list, and bought everything I needed: all the various greens, herbs, protein possibilities, nuts, seeds, etc. New things like coconut and almond butters were items I have never used in my life and didn't know if I could stomach them but Dr. Hyman said give me just ten days of your life, and I was determined to do just that. 10 days, 10 pounds, my mantra. I bought epson salts, baking soda, and lavender oil as indicated, for suggested nightly baths. I took out my blender to be ready to make the smoothie recipes. I tossed out anything sweet that I might be tempted to eat. I admit that I didn't throw out one dark chocolate candy bar.It's in the fridge but I haven't touched it. After all, dark chocolate is supposed to be good for us. I started a few days before D day to cut back on caffeine, sugar, and anything with white flour, and yes, alcohol. No wine for awhile :( I went from caffeinated coffee, to half and half, to decaf and then hot water with lemon by the time Day One arrived. I washed all the greens and prepared whatever I needed the day before, including soaking Chia seeds, sesame seeds, and nuts for my morning smoothie. I never knew Chia seeds existed, but I was determined to follow all directions. As indicated in the book, I prepared a journal to keep track of everything, including daily weight, body measurements, and responses to morning and evening journal questions given in the book. I set out my supplements and typed out directions so I wouldn't miss a thing, including drinking 8 glasses of water a day, walking briskly for a half hour a day, and trying to get 20 minutes of sunshine a day ( not always easy to do in CT lately). By this time, I'd wished I'd spent the extra dollars and bought the paperback for the recipe section. I found that the pre-preparation determined my success this far. I had invested too much to toss it all aside. Oh, I forgot to mention a couple of other things: He suggests cutting back on screen time during the 10 days. Enough with Candy Crush! Also, using relaxation breathing for 5 minutes a day, not eating 3 hours before bedtime, and joining the online community to help keep me on track. Two things helped me to gain the initial will power to start this journey (you do need that will power to get started). First, the disgust at not being able to fit comfortably into my clothes had reached epic proportions and, second, the information gleaned from the book on why we cannot control our cravings. IT IS NOT OUR FAULT! IF YOU ARE LIKE ME AND BLAME YOURSELF...STOP! I learned how our bodies adapt to foods and the importance of blood sugar balance. I'm not going to go into all the scientific stuff. If you're interested, you'll need to read the book. I'm not advertising for Dr. Hyman. He is good at what he does, but he also wants to make money. As authors, don't we all? I'm just grateful to him for his research and knowledge. Today I'm on Day 3. On Day 2, I had a bad headache. Feeling lousy the first two or three days is expected, so I was prepared for some effects of the detoxing. Today, I feel great! I've enjoyed one of the smoothies I've tried but didn't like the second. I love the Creamy Cauliflower soup and a delicious salmon dinner recipe. The book gives these recipes and many more. I found additional ones on the online community board. I knew I wouldn't like everything, but it's just 10 days! I plan to blog every day throughout this journey for my own benefit to keep me on track and, perhaps, to encourage others to try it. As authors, we need to exercise those fingers to accomplish our dreams but for those like me who struggle with weight loss and more wholesome exercise, we need to balance pounding the keyboard with a healthy and sustaining lifestyle. I know that failure is an option, but one I refuse to accept this time around. I'd love to hear about from other author and readers who struggle with weight loss and exercise. 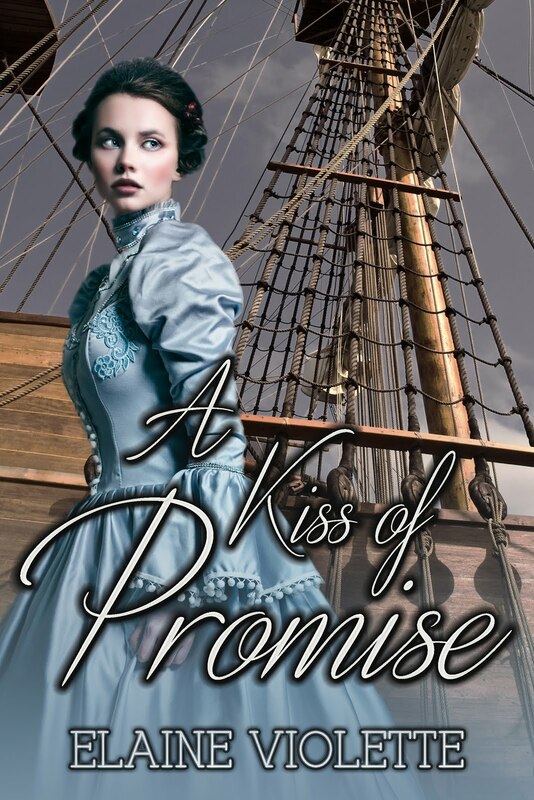 Today, I'd like you to meet Alaina Craymore, my heroine in my newest historical romance release, A Kiss of Promise. The story begins in England and moves to America, a departure from my previous British historicals. Alaina’s nature is to be self-sacrificing. She’s had little choice. Her father was a domineering, power-hungry aristocrat who treated his wife and daughter with disregard and abuse. Her role in the family was that of protector toward her ill mother and later she attempts to protect her brother from a villain who seeks to destroy him unless Alaina bends to his will. 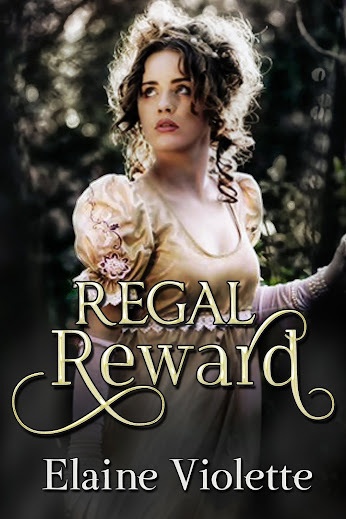 Though readers can meet Alaina in my debut novel, Regal Reward, where the Blackstone brothers, York and Martin, are introduced, she is the heroine in the sequel, A Kiss of Promise. At the opening of A Kiss of Promise, a preface acquaints readers with her past. In the present, Alaina is completing her year of mourning after her father’s death. It’s difficult to use the word, mourning. His cruelty left little to mourn but society during this historical time period, expected women to spend a year in seclusion and wear the colors of grief. 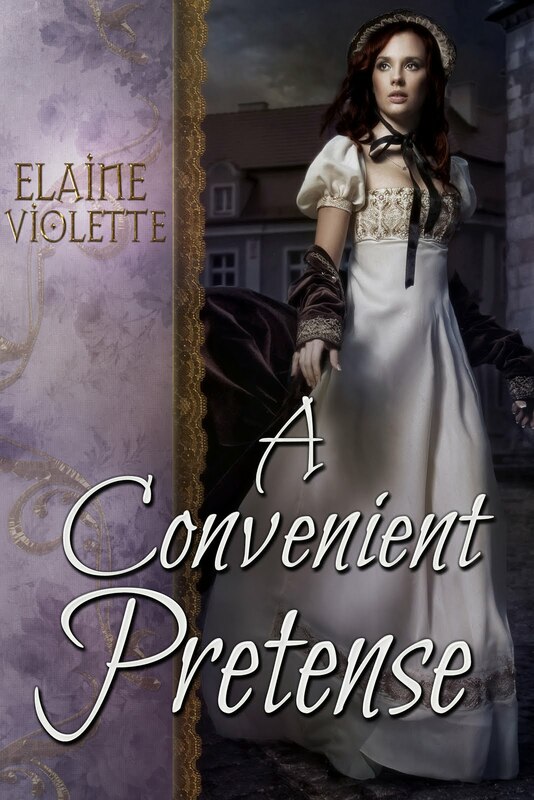 Alaina has no difficulty staying out of the public eye after the scandal her father created when he falsely accused a fellow aristocrat, Lord Blackstone, of treason. His crime left Blackstone’s wife and children destitute when Lord Blackstone is imprisoned and his lands and titles given to Alaina’s father. My regency, Regal Reward, tells of the Blackstone’s son’s struggle to clear their father’s name. In A Kiss of Promise, Alaina tries to put the past behind her and prepares to reenter society but her father’s villainy transcends his death. A former business partner of her father, Phillip Harrington, appears and blackmails her into completing a business deal her father began in America. She has no recourse but to agree to Harrington’s demands that she masquerade as his fiancée after he shows her evidence that could destroy her brother. She has no one to turn to and everything to lose. Alaina is strong, determined, and selfless. Only Martin Blackstone, the man that she loved and who had left her behind to find adventure, can save her from the ruthless Harrington. Martin’s past has left him with too much baggage to consider a commitment but when he finds out that Alaina is in danger, he’ll move heaven and earth to find her. Alaina, fear-filled and desperate holds on to her power to determine her future. She’ll chose ruin over pity devoid of true love, even if Martin can save her from the evil Harrington. A Kiss of Promise and Regal Reward, both Blackstone Brother's stories, are available at most ebook outlets. Regel Reward is also available in print.